FRONTED BY the voluptuous Karen Lawrence, 1994 were one of the greatest North American hard rock bands that time and tide has indeed forgotten. Signed, in a blaze of publicity, to the mighty A&M label, produced by seventies studio wizard Jack ‘Aerosmith’ Douglas and hailed as the next big thing, the band never quite made the commercial impact all had hoped for. Released in 1978, Geoff Barton, writing for Sounds magazine, (now Editor of Classic Rock), made no secret of his love for 1994’s self-titled debut album, acclaiming it as one of the year's best releases – a deadly yet cool combination of Heart and Aerosmith. Look out too, for a rare special guest appearance by guitarist Brad Whitford - one of only a small handful of extraneous appearances outside the Aerosmith mother ship. 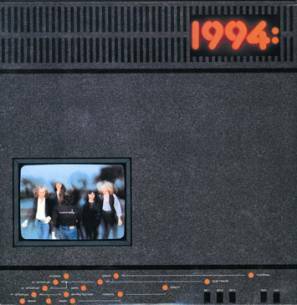 24-bit remastering from original source tapes, huge story of 1994 liner notes, tons of additional photos and memorabilia spread out over a 16 page full colour booklet. Also includes 4 bonus tracks taken from a 1978 concert. TRACK LISTING: 'Once Again', 'Shoot To Kill', 'Sing To Me', Heleana', 'Bring It Home', 'Radio Zone', 'Hit The Hardway', 'Read Up', 'Anastasia', BONUS TRACKS: 'Shoot To Kill', 'Find It In The City', 'Hit The Hard Way', 'Bring It Home'. FRONTED BY the charismatic Karen Lawrence, 1994: were one, in a long list, of great North American hard rock bands that time and fame overlooked. This, their sophomore album, was released in 1979, Geoff Barton, then writing for Sounds magazine, and now, of course, Editor At Large of Classic Rock, made no secret of his love for 1994’s music and the charms of Karen Lawrence, going so far as to acclaim them as a veritable cracker box of explosive guitar based rock topped off by a stellar performance from one of the best (female) vocalists of the era; a deadly yet cool combination of Heart and Aerosmith. Produced by the dynamic duo of Eddie Leonetti (Angel, Legs Diamond) and Jack Douglas, the album was lavished with fervent praise, attracting rave reviews both at home and abroad. 24-bit remastering from original source tapes, four bonus tracks, 4,000 word essay about the making of the album, interview with Karen Lawrence and additional previously unseen photos spread out over a 12 page full colour booklet. TRACK LISTING: 1) Once Again 2) Shoot To Kill 3) Sing To Me 4) Heleana 4) Bring It Home 5) Radio Zone 6) Hit The Hardway 7) Read Up 8) Anastasia. Bonus tracks: 9) Shoot To Kill 10) Find It In The City 11) Hit The Hard Way 12) Bring It Home. THERE’S NO getting away from the fact that Thin Lizzy were one of the most influential rock bands of all time. Lead guitarist Scott Gorham was, of course, an essential part of that outfit, carving out a reputation on a string of spectacular albums with his spellbinding guitar playing. After the demise of Lizzy, Scott cooled his engines and spent some time planning for the future, which eventually led to the formation of 21 Guns, a band fit for purpose, boasting both precision and power. Joining Scott in this new recording venture was an all American line-up, consisting of co-writer, bassist and keyboard player Leif Johansen (Phenomena), drummer Mike Sturgis (Asia) and vocalist Thomas La Verdi, who had previously fronted cult AOR unit A440. Partnering with renowned producer and mixing engineer Chris Lord Alge (Meatloaf, Creed), 21 Guns recorded their album in Los Angeles and found the finished product receiving plaudits from virtually everyone who heard it. Originally released in 1992, all would have been well and good if only the grunge revolution wasn’t in full swing. 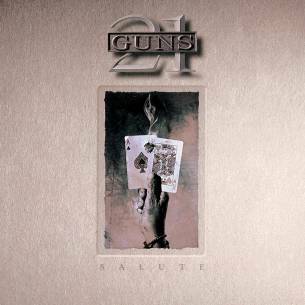 With their melodic and polished sheen 21 Guns were ostracised by some quarters the media for sounding dated and being part of a musical heritage that was now rapidly becoming passé. Of course, with the benefit of hindsight we can clearly see that ‘Salute’ is one of the finest rock albums of any era, allowing Scott Gorham to unleash stupendous guitar work and spectacularly crafted songs. 24-bit remastering, 4,000 word essay about the making of the album, new interview with the band, enhanced artwork and photos spread out over a 16 page full colour booklet. IT APPEARS THAT nearly every band back in the day experienced a never ending stream of difficulties, a series of ups and downs that made even basic existence almost impossible. For 707 the situation was no different. Their debut album produced an unexpected hit single, but Casablanca Records failed to fuel the fire and by the time they released a follow up album they were hearing rumours about the label’s unstable financial position. 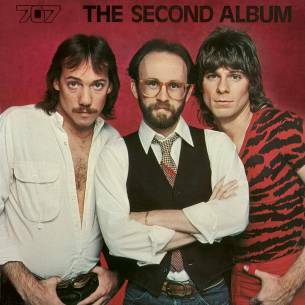 Indeed, a third album was recorded but had to be shelved when Casablanca finally crashed and burnt. Amazingly, a life line was thrown by their old label boss Neil Bogart when he set up a new company, Broadwalk records, and offered the band a fresh start. Recruiting a new lead vocalist/frontman, Kevin Chalfant, the band also received a leg up when they were asked to write songs for a new action movie, ‘MagaForce’, helping to give them much needed promotion and exposure. It was a tremendous opportunity, spoilt only by the movie’s lacklustre box office performance. Opting to continue in a more forceful direction, the band’s sound evoked comparisons to Journey, REO Speedwagon and Night Ranger, placing the emphasis on solid riffs and memorable songs. 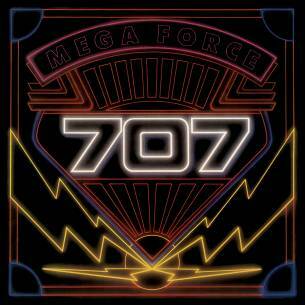 For example the title track ‘Mega Force’, ‘Get To You’, ‘Write Again’ and Can’t Hold Back’. The record is now regarded as a true underground classic, harbouring, as it does, a prime, melodic, AOR sound to die for. SPECIAL DELUXE COLLECTOR’S EDITION, FULLY REMASTERED SOUND, 6 BONUS TRACKS, 16 PAGE FULL COLOUR BOOKLET, 3,500 WORD ESSAY ABOUT THE MAKING OF THE ALBUM, NEW INTERVIEW AND ENHANCED ARTWORK WITH UNSEEN PHOTOS. 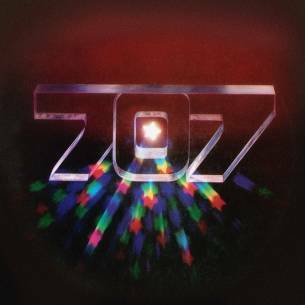 THERE’S NO question that 707 had one of the most distinctive sounds of any band emerging from the late 70s. Most melodic west coast rock acts of the era were powered almost exclusively by loud guitars, but the twist in 707’s style was the prominent use of grand piano as a lead instrument. Amazingly, however, this didn’t in anyway compromise their power. Indeed, the piano became a method of musical propulsion that leant them a unique and instantly identifiable character. Formed in Los Angeles during the late 70s, and led by guitarist/vocalist Kevin Russell and keyboard player Duke McFadden, this talented four-piece scored a coveted record deal with the Casablanca label, one of the hottest companies operating at the time. Recorded and issued in 1980, their self titled debut album made an instant impact, encouraging comparisons to Toto, REO Speedwagon and Chicago. The songs were well written, superbly performed and imbued with a sense of maturity far outstripping their relatively tender years of existence. It was also a record that took everyone by surprise, including their label, when the opening track, ‘I Could Be Good For You’, emerged as an unlikely hit single when radio stations in America’s heartland started to play the song of their own accord. But that’s not to say they were a one trick pony as the record contained a number of tremendous tracks, including ‘Let Me Live My Life’, ‘Save Me’ and the epic ‘You Who Needs To Know’. SPECIAL DELUXE COLLECTOR’S EDITION, FULLY REMASTERED SOUND, 16 PAGE FULL COLOUR BOOKLET, 3,500 WORD ESSAY ABOUT THE MAKING OF THE ALBUM, NEW INTERVIEW AND ENHANCED ARTWORK. 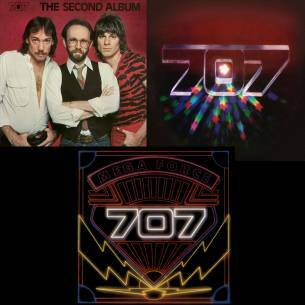 NO ONE WAS more surprised than the band when it emerged that 707, an obscure baby act from Los Angeles who had recently released their debut album, suddenly had a hit single on their hands. ‘I Could Be Good For You’, a forceful rock track propelled by a grand piano, and even though they were signed to Casablanca Records it had all the hallmarks of an organic birth. It was enough of a success story to ensure that the band would head back into the studio to record a now highly anticipated second album. Enlisting the assistance of producer Jai Winding (Le Roux, Stephen Crane) and recorded in Los Angeles, the band’s sophomore album (cunningly titled ‘The Second Album’) solidified their potential, albeit with the loss of pianist Duke McFadden who left the band for pastures new. His departure was quite a traumatic blow but they weren’t holed beneath the waterline because the other members rose to the challenge with a defiant show of force. Issued in 1980, the album showcased a more forceful approach, something more in keeping with the AOR zeitgeist of the day and evoking comparisons this time around with Journey, Foreigner and Cheap Trick. Showcasing this harder edge, tracks such as ‘Tonite’s Your Nite’, ‘Rockin’ Is Easy’ and the glorious ‘Strings Around My Heart’ elevate the band into the stratosphere. If it wasn’t for the implosion of Casablanca Records the record could’ve have been a huge commercial success. SPECIAL DELUXE COLLECTOR’S EDITION, FULLY REMASTERED SOUND, 16 PAGE FULL COLOUR BOOKLET, 3,500 WORD ESSAY ABOUT THE MAKING OF THE ALBUM, NEW INTERVIEW AND ENHANCED ARTWORK WITH UNSEEN PHOTOS. 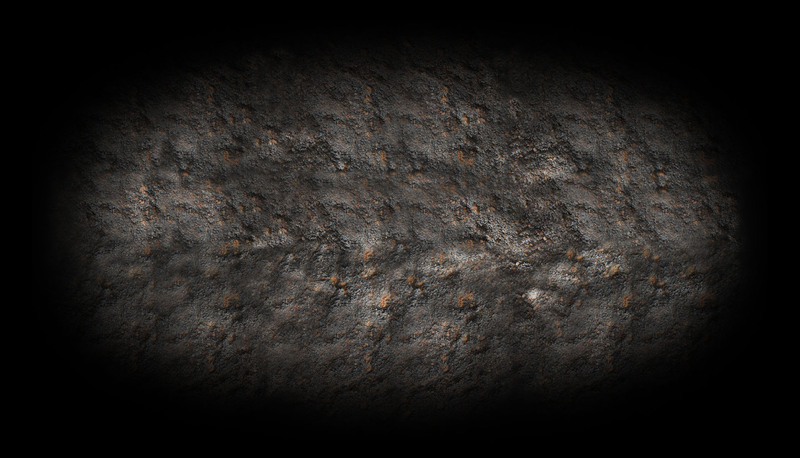 “HE WAS THE man with the rocket firing guitar. Dubbed the Space Ace, the coolest member of 70s rock gods Kiss and a man who attracted a legion of fan followers of his own for reasons both good and bad. Ace’s devilishly potent guitar playing lent Kiss a sense of purpose and ambition that elevated them from amusing comic book crusaders to seriously dangerous heavy metal heroes. As with most things in life it couldn’t last. Down but not out, Ace left Kiss in 1982 to pursue a solo career, one that was eagerly anticipated by legions of fans keen to sample his razor sharp riffs and quirky song writing in a brand new setting. With two successful albums recorded under the banner of Frehley’s Comet, Ace retired the band moniker in favour of a solo outing for album #3, the amusingly titled ‘Trouble Walkin’. Special Deluxe Collector’s Edition, fully remastered sound shaped from 24 BIT digital technology, 16 page full colour booklet, 3,500 word essay, enhanced artwork and rare photos. WE HERE AT Rock Candy love to champion the underdog, acts that slipped beneath the radar before disappearing altogether. It’s a murky and sadly depressing world, one occupied by some of the world’s most talented musicians robbed of success by factors outside of their sphere of influence. Airborne were one such act. They were an amazingly proficient band crafting some of the best melodic rock that had ever been crafted yet somehow their fate was sealed when record company politics reared its ugly head. 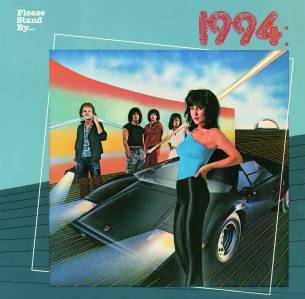 Featuring future producer Beau Hill (Ratt, Winger, Warrant), and signed to Columbia Records, this highly gifted five piece band recorded the debut album under the superior production guidance of Keith Olsen (Fleetwood Mac, Rick Springfield, Sammy Hagar), in Los Angeles and London (AIR studios) resulting in one of the era’s most compelling and streamlined records. Comparable with the best work of Styx, Touch and Foreigner the accent was on lovingly constructed songs underpinned with meaty guitar riffs and exquisitely crafted vocals, layered to perfection. Originally issued in 1979, the album attracted a slew of favourable reviews but just when things were looking to take off, including a proposed tour with the Cars, the President of Columbia Records jumped ship leaving the band high and dry with the new regime deeming Airborne as yesterday’s news. It was, in effect, a knockout blow. However we still have their sole album to remind us what could’ve been. Special Deluxe Collector’s Edition, fully remastered sound shaped from 24 BIT digital technology, 12 page full colour booklet, 3,500 word essay, enhanced artwork, photos and new interview with Beau Hill. Influenced predominantly by superstar American acts such as Foreigner, Journey, Survivor and Heart came a new breed of British melodic rock band ready and willing to take on the competition with a sense of energy and professionalism that, if lady luck had been smiling in the right direction, might have catapulted them to the same dizzying heights of success. FM, Shy, Tobruk, Lionheart, Strangeways and Grand Prix were the main frontrunners but it wasn’t until Airrace arrived on the scene that the scene gained a real contender for the NWOBMM (New Wave Of British Melodic Metal) throne. Signed to the giant and hugely influential Atlantic label, they headed straight to New York City, recording with one of the top American producers of the day, namely Beau Hill, the man behind platinum albums from Ratt, Warrant, Winger, Kix, Europe and Twisted Sister. ‘Shaft Of Light’, originally released in 1984, is a masterpiece of catchy hook laden rock with tough-guy guitar riffs, quality keyboards and the superior vocals of frontman Keith Murrell, who has one of the greatest rock voices of all time. With Jason Bonham providing a solid swing to the rhythm section it remains a mystery why Airrace failed to connect on a multi-platinum level. 24-bit remastering from original source tapes, 4,000 word story of the making of the album, full involvement by the band, rare photos, two bonus tracks, all spread out over a superb 16 page full colour booklet. Click here to see more CDs!